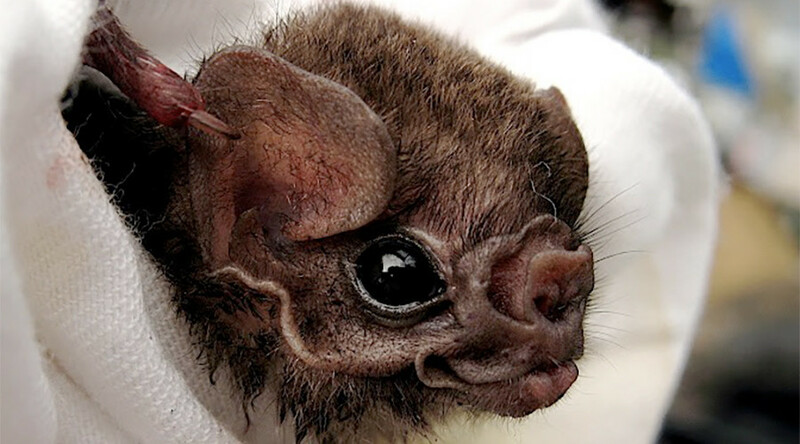 As a result of deforestation in their habitat, vampire bats in northeastern Brazil, who typically only drink the blood of large birds, have had to diversify their taste palates to much larger prey – namely, humans. “We were quite surprised… This species isn’t adapted to feed on the blood of mammals,” Enrico Bernard from the Federal University of Pernambuco in Recife, Brazil told New Scientist. Bernard and his team studied the different types of DNA found in 70 feces samples taken from a colony of hairy-legged vampire bats (Diphylla ecaudata) living on a nature reserve in Catimbau, Brazil. They discovered human DNA in three of the samples, which is extremely rare for vampire bats in general and particularly so for the hairy-legged subspecies. 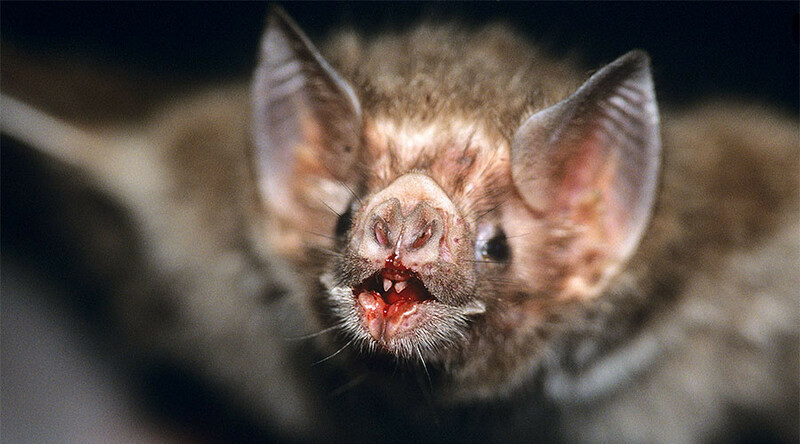 There are three distinct types of vampire bat: the common vampire bat (Desmodus rotundus), the white-winged vampire bat (Diaemus youngi) and finally, the hairy-legged vampire bat (Diphylla ecaudata), the subject of Bernard’s recent study. All three are found in the forests of Central and South America. In previous studies, researchers found that certain species of vampire bat had no problem adapting to changes in their environment and food supply, while others starved rather than changing their eating habits. This latest development is of particular concern to health services, as vampire bats are already responsible for the spread of certain diseases such as rabies. Between September 2015 and February 2016, a spate of attacks by rabies-infected vampire bats claimed the lives of 12 children in Peru. "The people [who] are likely to be bitten by vampire bats are those that sleep outdoors or sleeping in huts that don't have any windows on them," Barbara French, a bat expert at Bat Conservation International, told LiveScience. Before any imaginations run wild, French was quick to dispel many rumors and myths about vampire bats. When asked how such attacks occur and whether there is a need for people to invest in turtleneck sweaters, French responded that, "They're more likely to go for a person's big toe." "There's a good blood supply there and the bite is usually less noticeable," she explained. Bernard and his team are studying exactly how the bites have occurred and how they might be better prevented in the future.